Did you catch that it's national mushroom month? No? Well ... here's your chance to fete the fungi. 1. Sign up for the mushroom cooking class at Equinox. Saturday, Sept. 13 from 11 a.m. to 1 p.m., chef Todd Gray will provide hands-on instruction for several mushroom recipes, followed by a three-course lunch featuring mushroom dishes. Class with lunch is $100 per person. Call the restaurant at 202.331.8118 for reservations. 2. Check out the Mushroom Stand at the Penn Quarter and Dupont FreshFarm Markets. 3. 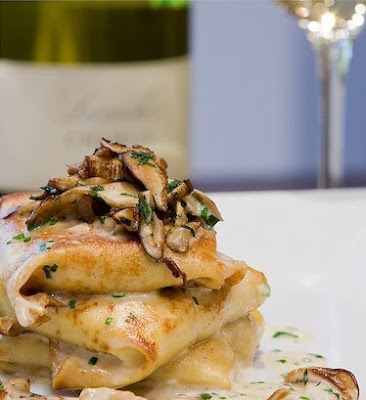 Try chef Philippe Piel's mushroom and chicken crepes at Ici Urban Bistro. The dish features four types of mushrooms with sautéed chicken wrapped in a buckwheat flour crepe. 4. Feast on PS 7’s five-course mushroom tasting menu all month. Chef Peter Smith is crafting a nightly tasting menu, highlighting local mushroom varieties. 5. Order Oyamel's quesadilla huitlacoche with Oaxacan cheese and Mexican black truffles. 6. Sample chef Brian Robinson's mushroom tapenade, made with roasted artichoke, roasted garlic and oyster, crimini, shitake and chanterelle mushrooms at Restaurant 3. The restaurant sources their fungi from Pennsylvania's R.L. Irwin Mushroom Company. 7. Hit happy hour at Nage for the mushroom tasting trio ($17), offered from 5 to 7 p.m. Chef Kevin Reading features three tastes of mushroom dishes such as porcini popovers, mushroom strudel and oyster mushroom soufflé. Wow...National Mushroom Month AND Bourbon Heritage Month? September is quickly becoming the most awesome month of all. Now to figure out which to hit first - the five-course tomato tasting menu at Dino or the five-course mushroom tasting menu at PS7! We are getting some of our meats from Capitol Meat Company. With that said the majority of the meat we receive is from small producers so no factory. I am currently in negotiations with some of the local producers to get their products. Where can I find the menu for PS7's mushroom tasting dinner??? Sounds wonderful but I would like to see a menu first. 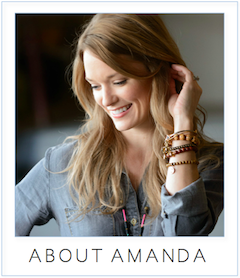 Amanda, thanks for following up on my behalf, and thanks, Peter, for the promising response! We'll definitely check out the restaurant soon. Elyssa: I think it changes nightly. I'll see if I can find some sample dishes. I wanted to celebrate mushroom month at home and so was pleased to find Ici Bistro's recipe for chicken and mushroom crepes at the website below. It is a simple recipe that is fun to make and even better to eat. Plus, you get a bonus if you use the leftover crepe batter to make some dessert crepes.